My family and I have been living in Bali for a few months, and for my birthday my wife arranged a 3 day surf safari with Ketut Sadia based on a referral from a good friend of ours who has surfed with him often. Sadia’s very professional – has his car stocked with water, variety of boards, extra gear, etc. and knows how to handle clients. He seems to have a lot of experience anticipating what people’s needs and wants are and is good at creating or navigating to an environment that suits his clients and their comfort levels. He had me on some 3-4 meter waves, doing rather well, which without him I don’t think I would have felt comfortable with. 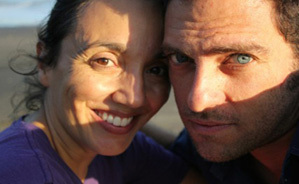 As a surf instructor, he makes you feel safe and in good company and knows where to go. On the personal side, I spent a good deal of time in the car with Sadia and we had lots of good conversations – not just about Bali and the changes he’s seen, but about our lives – the similarities and differences. At the end of the three days, he had me over to his house to meet his family, who by that time I’d heard a good deal about, and over tea and coffee we shared an afternoon with his kids, his sister and his parents. Sadia refers to most of his past clients as his friends, and I can certainly see why. He’s very personal, genuine and sincere. I am accustomed to driving myself in Bali and quite comfortable with it, but I plan to organize some other trips with Sadia as my guide even though I feel I could do it on my own. For the price (which is very reasonable), I know I’ll not just have a more efficient and stress free trip, but it’s bound to be enriched by having him along not just as your guide, but as your friend. 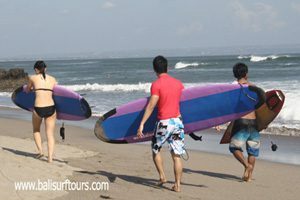 We are really miss our time in Bali; you have been so nice and very professional with your teams ‘Bali Surf Tours’ .I’ve learned so much and experienced a true Bali. A lot of my friends are thinking of going to Bali, one in fact next week… I’ll let them know. I’ll give them your email, so they can contact you. Also, about our pictures, we are very excited at pictures, would you mind sending me pictures of us? Sadia was recommended to me many years ago by a good friend and expert surfer who visit Bali frequently. Our first meeting with Sadia was about 4 years ago when I went with my young twin sons, and since then I have strongly recommended him to both expert surfers as a guide and also for absolute beginners and children. 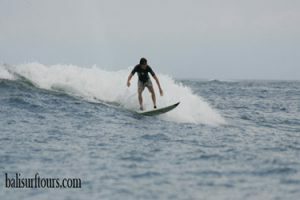 His local expertise, surfing skills, and easy going nature will make any surfing trip to Bali a success. Sadia has always given the very best advice for the prevailing weather conditions and tides, and knows every spot in Bali. Knowing that Sadia is always taking care of transport and planning, I can relax in the knowledge that every day will turn out well and that I will get the maximum out of my trip. I have no hesitation in recommending Sadia, including to my closest friends and family. Sadia is a true professional, and a good man of integrity. So great to hear from you! Hard to believe the magical vacation is finished and already hard at work to prepare for the big show in October. Meeting you was one of the best part our trip to Bali and we also wish that more people will be like you! We really had a great trip thanks to you and I’m really missing Bali already… Each time we visit, we discover something new and beautiful and we came back to Paris with many memories of beauty, peace and spirituality. Stay well and I know you will find your inner-peace! You are a very special person, beautiful in-out, and your dream will come true. Don’t stop believing in yourself!! Here’s a couple of pictures from the trip… I will send few more later. I first met Ketut Sadia a few years ago when in dire need of some help to improve my surfing and to find some new and interesting places to surf. Sadia was awesome and not only helped me with my surfing technique but took me to some fantastic spots perfect for my ability. 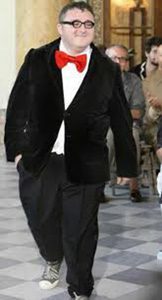 He drove me around with some of his friends as one of the boys, as a young traveler on my own it was great to have some comradery and presence in the line up! I have since been to see Sadia and his family a number of times, his kind hearted sense of fun and willingness to show visitors the real Bali, something that you will rarely see on tours or from the back of a bus, makes any tour with Sadia a very special experience. Every time I visit Bali I am sure to give him a call the service he offers to visitors is unrivaled, he is always up for a chat and full of interesting stories, once you meet and spend time with him you have a friend for life. We can talk a lot about Bali, for example that it is magic and spiritual place or that Bali is a part of Asia and Asia is like the ways of God – unpredictable. If you have a chance to spend here a bit more time than just a regular tourist, to get involved into the local culture and meet with a local people and finally be introduced to the most wonderful and mysterious sport in the planet â€” surf, you might change your first impression up to 360 degrees! So, Bali is very beautiful and comfortable place, with a nice climate all around the year. Also there are a lot of really good restaurants with delicious Asian and European food. Despite on the big waves in the most of the popular beaches you can travel along the island find some nice quiet beaches that are good for swim; all the time you have to move by car and the average trip will take you about an hour. In general it is a wonderful place! If you want to feel the forces of nature, visit the beautiful place and be protected by the Gods – Bali is exactly this place. We recommend you with Sadia, he was the magic person he can do both, he is a sightseeing tour guide also surfing tour guide. If you need a private surf instructor he is astonishing teacher. 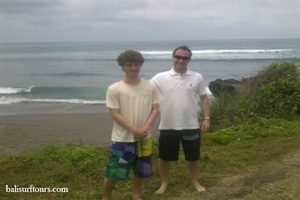 We were with him for twenty six days on February 2010 to discover the real Bali. For sure we will come back again. He is kind hearted sense of fun and willingness to show you the beauty of Bali. Bali has everything to send your energy to the right and useful direction! My family and I have been traveling to Bali for seven years. We were lucky to hire Ketut Sadia as our first driver and guide in Bali and have hired him every year since. Looking over the sea of name cards at the airport arrival exit, we always feel as if our vacation begins when we see Ketut’s familiar smile. We know with Ketut our travel within Bali will be safe and comfortable. 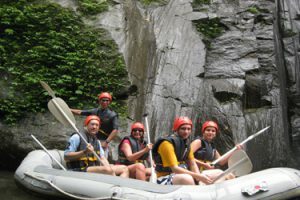 Over the years, many friends and family have joined us in Bali and Ketut has taken us and them to the best surf spots, to waterfalls, on hikes, to his home, and his relatives’ villages. We have recommended Sadia to many friends planning vacations in Bali and all have had a richer experience with him as their guide and driver. We are looking forward to many more holidays in Bali in the future. I just came back from my first trip to Bali. I had one thing on my mind – hitting some good surf spots. On my first day there I hired a guy to take me to some spots, he really didn’t know where the best waves were going to be for the swell and wind direction and neither did I. The same day, my wife did some searching on the web and found Sadia. I gave him a call and just had a good feeling about him, so I went with it. Sadia drove me around for the next 5 days to breaks all over Bali. Big days, small days, reef or beach, even the occasional right-hander!, Sadia knew all the good spots and loves to get out there for a surf with you, helping you get your positioning right to snap up some set waves. I had an awesome time with Sadia as my guide. In between surfs and on the road, Sadia is great fun to talk to, he’s easy going, loves a laugh and has an infectious attitude to life. Five stars out of five! I could not recommend anyone better. It was the second time that I holidayed in Bali but the first time that I went there for surfing. I was in desperate need for a surf guide and found Sadia online and booked him for six days – five days surfing and one day sightseeing. What I especially liked about Sadia was his professionalism and uplifting personality. Sadia was always in time, kept his car spotless and had his car stocked with water and surf equipment. Although the surf conditions very fairly average Sadia knew where to go and where to find waves. Before we had a session he always gave me a briefing about the surf spot – takeoff point, wind direction, rips and other dangers. Since I lived in Nusa Dua and we often surfed in Turtle Island we spent a good deal of time in the car. We never got bored, because we always had interesting conversations about Bali, life and surfing. It needs to be mentioned that Sadia speaks English on a very high level, (a rarity in Bali) and this allowed us to have these conversations and also made the sightseeing well worth. In conclusion I can highly recommend Sadia as surf or tour guide he will definitely enhance every Bali experience! Hi! I’m Yoanda from Australia. I would like to talk about my friend Sadia. He is a very friendly gentleman. When I went to Bali two times last year. He really helps me and my family a lot. 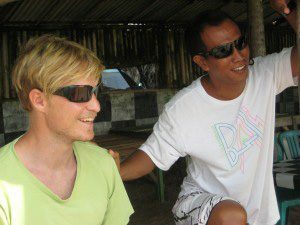 He knows a lot of yummy Surf sport, place to eat and fun places in Bali. If you have Sadia to be your guide then I think you will have a lot of good memory on your trip! Because we did and my friends too! 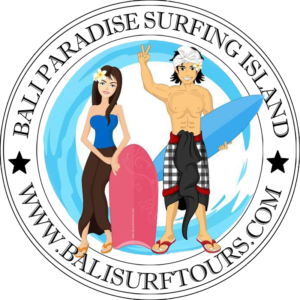 We had just returned from Bali and use Sadia “Bali Surf Tours” services throughout our trip for view day surfing and sightseeing. Sadia pick us up from the airport and arrange our daily itinerary. We are so pleased with him; we are so comfortable throughout the whole trip. There is no hassle and no hidden itinerary, everything was according to plan. Sadia is so reliable and safe; he will not bring you to places that you do not want without your consent. He speaks good English and is very knowledgeable; he brings us to the reliable money changer for us to exchange our money. He even brings us to taste the real Balinese dishes in local restaurants during our trip for surfing and sightseeing as well. 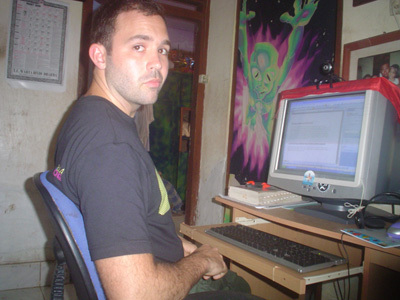 We will definitely use his services again for our trip to Bali in the future and would recommend him to all our friends.